Although discussion boards in online classes are "asynchronous," or not occurring in at the same time, you will want to think of discussions in this online course just as you would a discussion in a face-to-face classroom. In other words, you will want to respond to others who respond to your initial statements, just as you would in a classroom. 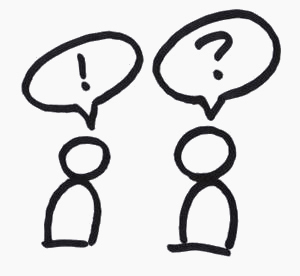 Consider how you would feel if you talked to another student in a face-to-face class, and that student either stared at you blankly and didn't respond or just walked away while you were speaking...the latter is the same as not responding to a student post in an online discussion. We will discuss particular readings from the textbook or from outside sources in the discussion boards each two-week period. These weeks will be an opportunity to review the craft of polished essays, discuss the choices that other writers make, and interact with your classmates as you would in a brick-and-mortar classroom. Discussion boards will be evaluated with the rubric posted below. I expect all you to be prepared to participate in class discussion boards. In order to do this, you should have read any course materials for each activity and be prepared to both present your work clearly and/or respond thoroughly to others. I do not evaluate your word based on a minimum number of posts in a discussion board. Rather, I gauge your level of interaction, whether you respond to you who respond to you, and how completely you engage with your classmates. The easiest way to meet all of the Discussion Board requirements is to subscribe to any threads in which you are involved when you post and to respond as you receive emails that others have responded to your work. Instructions for subscribing to discussion boards are included in the assignments where they are applicable. 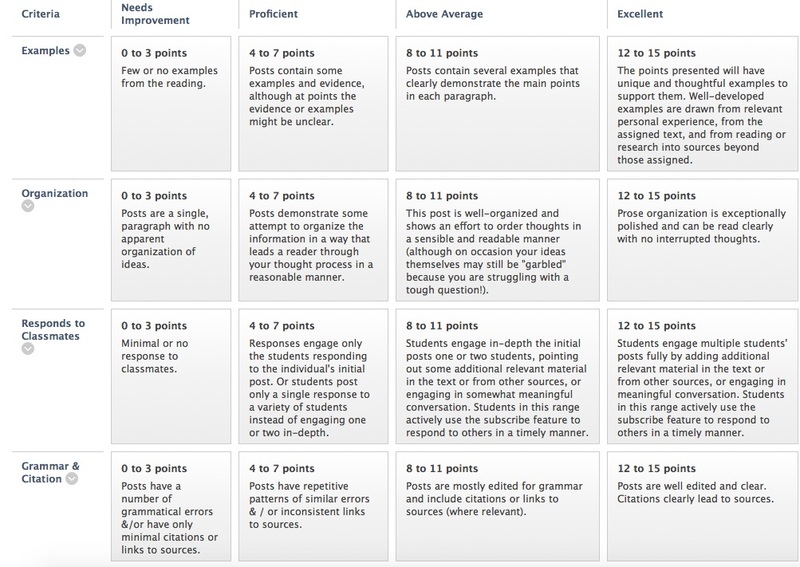 Below is the rubric that I will use to evaluate discussion board posts (you can also find this rubric linked into the discussion board assignments in the Grades area in Blackboard).